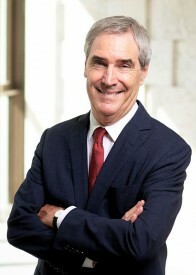 Michael Ignatieff is a writer, teacher and former politician. Born in Canada, educated at the University of Toronto and Harvard University, he has written award-winning books, worked as a television presenter and documentary filmmaker, editorial columnist and university teacher. He has taught at the University of British Columbia, Cambridge University, the London School of Economics and Harvard University, where he was Director of the Carr Center for Human Rights Policy at the Kennedy School of Government between 2000 and 2005. He is a member of the Queen’s Privy Council for Canada and holds eleven honorary degrees. Between 2006 and 2011, he was Member of Parliament for Etobicoke Lakeshore, Deputy Leader and Leader of the Liberal Party of Canada. Between 2011 and 2013, he held a professorial appointment at the Munk School of Global Affairs and Public Policy, University of Toronto. In 2014, he rejoined the Kennedy School of Government, Harvard University as Edward R. Murrow Professor of the Practice of Politics and the Press. He also serves as Centennial Chair of the Project on Global Ethics at the Carnegie Council on Ethics and International Affairs in New York. On 1 August, 2016 he became President and Rector of the Central European University (CEU), Budapest.